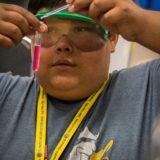 Unite is a four-to-six week, pre-collegiate summer experience for talented high school students from groups historically underserved in STEM. Held at higher education institutions across the country, Unite encourages students to pursue college majors and careers in engineering and other STEM-related fields through a program of focused hands-on rigorous academics, enrichment, and career exploration. Unite programs engage volunteers to interact with students (as program assistants, mentors, speakers, etc.) during the summer. Inquiries about volunteering should be sent to specific Unite site directors. If you are interested in this program email us or call Hillary Lee at 888-860-9010. We'd love to hear from you! Applications will be accepted from rising 10th-12th grade students. Applications will be accepted only from rising 10th-12th grade students from school districts in Colorado Springs and Pueblo, CO. Applications will be accepted only from rising 9th-12th students who attend schools in Leon and Gadsden counties in the Tallahassee area. Students who wish to apply must be nominated by a local teacher. Applications will be accepted from rising 10th-12th grade students who attend schools in the Savannah Chatham County School district, and who are part of the Upward Bound program at Savannah State University. Applications will be accepted only from rising 10th-12th grade students who participate in the University of Iowa Upward Bound program and who attend Columbus Junction HS, Muscatine HS, and West Liberty HS. Applications will be accepted only from rising 10th-12th grade students. More program information here. Applications will be accepted only from students nominated by the Keweenaw Ojibwa Community College (MI). Applications will be accepted only from rising 9th grade students who attend schools in the Jackson (MS) area public school districts. 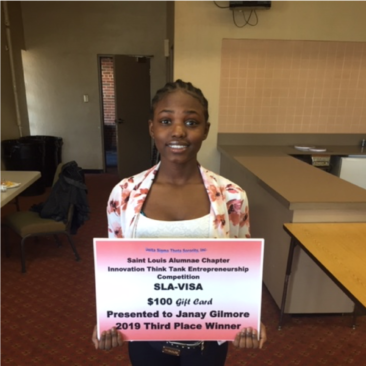 Applications will be accepted only from rising 9th-12th grade students who attend schools in the Jennings and Riverview Gardens districts of St. Louis, MO. Applications will be accepted only from rising 9th-12th grade students who participate in the Montana Tech TRIO Upward Bound program and who attend the following schools: Anaconda HS, Butte HS, Helena HS, and Capital HS. Applications will be accepted only from rising 9th-12th grade students who attend schools in the Clark County School District of Las Vegas (NV). Applications will be accepted only from rising 10th grade female high school students living within commuting distance of the NJIT campus in Newark, NJ. Applications will be accepted only from rising 9th-11th grade students living in Albuquerque and Rio Rancho, NM. Applications will be accepted only from rising 9th-12th grade students who are enrolled in the TRIO Talent Search program at Fayetteville State University. Applications will be accepted from rising 9th or 1th grade students attending Philadelphia public schools. Applications will be accepted from rising 9th-12th grade students who attend Puerto Rico schools. Applications will be accepted only from rising 9th-12th grade students living in the Houston (TX) metropolitan area. Apply here. Applications will be accepted only from rising 9th-12th grade students who are participants in the Virginia Tech Upward Bound programs. Applications will be accepted only from West Virginia, Kentucky, and Ohio high school students.